Black Panther, Captain Marvel, and More! Christmas came early this year as Marvel has announced it’s full lineup of films through 2019! Not to be outdone by DC’s recent announcement chronicling their slate of films set to arrive in theaters through 2020, Marvel gathered press and fans alike at the El Capitan in Hollywood to reveal their entire lineup of films through 2019. There’s a lot to get to so let’s get started! First up, it was recently rumored that Robert Downey Jr and Chris Evans would face off on the big screen in Captain America 3 and that is in fact happening. The pair took to the stage to announce the title of the film will be Captain America: Civil War with the movie set to release on May 6th, 2016. That will be followed by Doctor Strange on November 4th, 2016. Though Benedict Cumberbatch is reportedly close to signing on to play the Sorcerer Supreme, it is not official just yet with Marvel President Kevin Feige telling reporters that if it was official it would have been announced. We will have three Marvel films to look forward to in 2017 starting on May 5th, when Guardians of the Galaxy 2 hits theaters. It was moved off its original July 28th slot to make room for the third Thor film to be titled “Ragnarok”. Feige explained that “Ragnarok” means “the end of all things”, so let your brains ponder that for a bit. 2017 will conclude with fan favorite Black Panther getting his own film on November 3rd. 42 star Chadwick Boseman will play the chief of Wakanda and will make his debut in Captain America: Civil War. It was recently rumored that The Avengers 3 would be split into two parts and that has been confirmed with Avengers: Infinity Wars Part 1 set to arrive in theaters on May 4th, 2018. That will be followed by Marvel’s first female-lead superhero movie, Captain Marvel on July 6th, 2018. It was confirmed that the main character would be “Carol Danvers”, but no casting announcement was made. It has long been rumored that she will be making an appearance in next summer’s Age of Ultron, but that was not confirmed either. We’ll wrap things up in 2018 with the addition of Inhumans to the Marvel Cinematic Universe on November 2nd. The Inhumans are thought to be Marvel’s answer to mutants - a race of humans that are the offspring of genetically altered primitive Homo Sapiens. And last, but certainly not least, Avengers: Infinity Wars Part 2 will wrap things up on May 3rd, 2019. With many of the original Avengers’ contracts set to expire with Avengers 3, it’s unclear how many will actually appear in Part 2, but from the looks of it, Marvel is ready to expand their Universe and introduce a lot more heroes in the coming years. 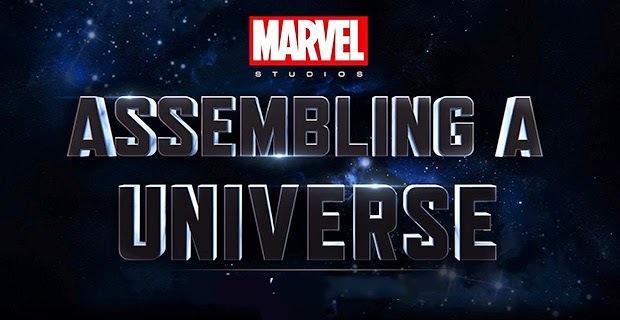 Of course, we first get to look forward to Avengers: Age of Ultron next summer and to find out what 7 things we think should happen in that film, go ahead and click here. So now that you know what Marvel has in store for the next several years, which of their announced films are you most looking forward to and are there any that surprised you? Share your thoughts in the comments or tweet us @ClevverMovies and be sure you’re subscribed to our channel to stay up-to-date with all these movies and more.